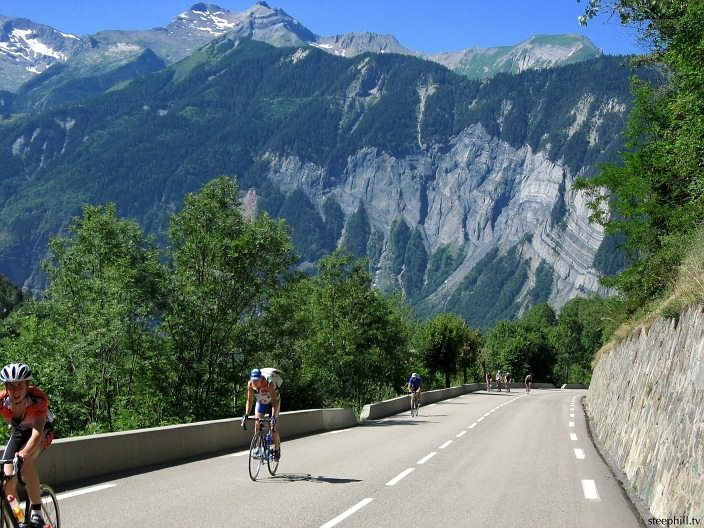 2. accommodation in Sept in the French Alps is cheaper because non-peak cycling season. This year’s Sept trip to the French Alps utilizes flights, trains and buses, so no need to rent a vehicle (a big cost saving), which means that Ride Attendees can arrive when they like and depart when it suits them. The only cost that Ride Attendees share is accommodation in Bourg Oisans (1st Base Camp), St Jean de Maurienne (2nd Base Camp) and Chambery (2nd Base Camp) which at the end of the Summer season, after the July/August peak, is plentiful and cheaper, as are the flights from Sydney to Lyon from 2 Sept..
Jean aka ChiliDog and Phil aka Bank Teller have purchased our flight tickets accessible in the above thread. Cycling the famous Passes, Cols and Montagnes in the French Alps is easy if you have very low gearing and a light bicycle. A small metal extender, Wolf RoadLink, renders it cheaper than fitting a longer rear derailleur, although the latter is not a big cost item these days, compared with say 20 years ago. Based on Muggs previous three previous sorties to the Alps a ‘16 Days Climbs Schedule’ will cost each ride participant AUD$4,400 (flights, trains, buses, accommodation at 3 Base Camps, food and alcohol). But the cost goes up if you visit Paris before or après, because Paris is pricy. Ride Attendees purchase their own return flight tickets. If you may be interested, read the plethora of info at the above invitation URL thread and email Bank Teller scribepj@bigpond.com or ph him 0434 715 861 with questions. The more research one does, for a cycling experience like this, the more enjoyment derived.